Ryan (lower leg) expects to be ready to go for training camp, Jim Wyatt of the Titans' official site reports. Analysis: Ryan suffered a broken left fibula in mid-December but is already clear of the protective walking boot. The 27-year-old had 76 tackles (54 solo) and four sacks through 14 games before his season ended prematurely. Ryan (lower leg) was placed on injured reserve Tuesday. Analysis: Ryan suffered a broken left fibula during Sunday's 17-0 win over the Giants, and will miss the remainder of the season on injured reserve. 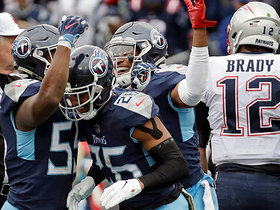 The 27-year-old has played 95 percent of the Titans' defensive snaps at right cornerback this season, so expect Adoree' Jackson, Malcolm Butler and LeShaun Sims all to benefit from increased defensive roles in Ryan's absence. Ryan will miss the rest of the season after suffering a broken left fibula during Sunday's 17-0 win over the Giants, Erik Bacharach of The Tennessean reports. 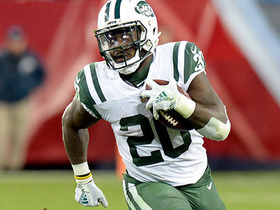 Ryan recorded two tackles and a sack in Sunday's 17-0 win over the Giants. However, he suffered a lower-body injury and was seen on crutches in the locker room Turron Davenport of ESPN.com reports. Analysis: Ryan recorded his fourth sack of the season to end a Giants' drive halfway through the second quarter. He now has sacks in consecutive games and more than 1.5 sacks in a season for the first time in his career. He did exit the game early and was seen on crutches in the locker room, potentially calling his status for the team's Week 16 matchup against Washington into question. Ryan recorded seven tackles and a sack in Thursday's 30-9 win over the Jaguars. Analysis: Ryan cemented the victory for the Titans, hauling down Cody Kessler on fourth down with 3:38 remaining in the game. He was an active member of the defensive unit yet again, tying for the team lead with seven tackles. He now has at least six tackles in four of his last five games, including two sacks. Ryan tallied 11 tackles in Monday's 34-17 loss to the Texans. Analysis: Ryan led the team in tackles in a disappointing loss, though he failed to record any other statistic in the effort. While he is set to surpass his 62-tackle effort from the 2017 season, Ryan has disappointed with his coverage stats, failing to record an interception while tallying only five passes defensed through 11 games. Ryan tallied six tackles, a sack and a pass defensed in Sunday's 34-10 win over the Patriots. 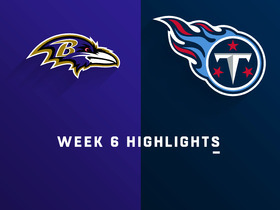 Analysis: Ryan broke up a pass on a key fourth down play in the final quarter, all but clinching victory for the Titans. He also recorded his second sack of the season, taking down Tom Brady to end the first half. Ryan has been a solid contributor all season, recording at least five tackles in seven of nine games. While he doesn't have an interception, he has added five passes defensed. Ryan (ankle) doesn't appear on the injury report ahead of Saturday's game against the Patriots. Analysis: Ryan, who originally injured his ankle in Week 15, has been able to play in each of the last two games. Coupled with the fact he was a full participant in Thursday's practice, there shouldn't be any concern over his impending availability. Ryan (illness) was a full participant in practice Thursday. Analysis: Ryan was absent from practice on Wednesday due to an illness but managed to return just a day later, clearing him for Saturday's showdown with the Chiefs. Look for him to resume his regular role as starting cornerback. Ryan didn't participate in Wednesday's practice due to an illness, Jason Wolf of the Tennessean reports. Analysis: Ryan was bothered by an ankle injury prior to the Titans' Week 17 tilt against the Jaguars, but an illness is affecting his practice workload at this point. The issue shouldn't keep him out of Saturday's wild-card game against the Chiefs, however. Ryan (ankle) is listed as active for Sunday's game against the Jaguars, Jason Wolf of the Tennessean reports. Analysis: Ryan will suit up for the Titans' season finale, despite failing to practice throughout the week. If the starting cornerback suffers any sort of setback, expect Brice McCain and Kalan Reed to see increased roles across from rookie Adoree' Jackson. Ryan (ankle) is listed as questionable for Sunday's game against the Jaguars, Jason Wolf of the Tennessean reports. Analysis: Ryan didn't practice this week and seems more likely than not to miss a second consecutive game. Brice McCain and Kalan Reed would take on expanded roles in his potential absence. Ryan (ankle) was a non-participant at the Titans' practice Wednesday, Jason Wolf of The Tennessean reports. Analysis: Ryan has missed two consecutive games and isn't starting off Week 17 as one would hope, although earlier this week coach Mike Mularky expressed optimism the cornerback would return to practice by the end of the week. The 26-year-old would provide a significant boost to the Titans defense, if he is able to make a return for Sunday's game against Jacksonville. Coach Mike Mularkey hopes Ryan (ankle) will return to practice by the end of the week and return to the lineup Sunday against the Jaguars, Terry McCormick of TitanInsider.com reports. Analysis: Ryan has accumulated two straight DNPs due to the ankle issue suffered in Week 14 against San Francisco. His potential return Sunday would be a boon for a secondary that surrendered 301 yards and four touchdowns through the air against Jared Goff and the Rams in Week 16. His status should be updated further as the week progresses. Ryan (ankle) is inactive for Sunday's matchup with the Rams, Jim Wyatt of the Titans' official site reports. Analysis: Ryan was sidelined at practice throughout the week due to the ankle injury he suffered in last week's tilt against San Francisco. Look for Brice McCain or Kalan Reed to see the spot start in Ryan's absence. Ryan (ankle) is considered questionable for Sunday's game against the Rams, Jim Wyatt of TitansOnline.com reports. 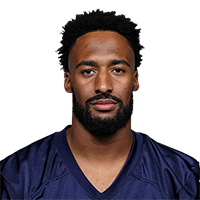 Analysis: Ryan has been held out of practice throughout the week after suffering an ankle injury during the Titans' Week 15 loss to the 49ers. If the starting cornerback is unable to play on Sunday, Brice McCain and Kalan Reed would be in line for increased roles alongside rookie Adoree' Jackson. Ryan (ankle) sat out Thursday's practice, Jim Wyatt of the Titans' official site reports. Analysis: Ryan also sat out Wednesday's session, putting his availability for Sunday's game against the Rams in peril. 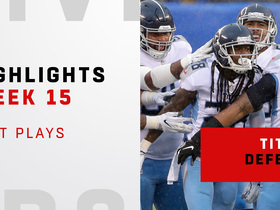 With another key cornerback in LeShaun Sims going down with a hamstring injury in practice Wednesday, the Titans could be quite short-handed in the secondary in Week 16. If both Ryan and Sims are sidelined, Brice McCain, Kalan Reed and Tye Smith would likely handle elevated roles. Ryan exited Sunday's game against the 49ers with an ankle injury and is questionable to return, Jason Wolf of The Tennessean reports. Analysis: Ryan dealt with a concussion in early December but suffered the ankle injury in the second quarter of Sunday's game. Brice McCain and LeShaun Sims should both see increased snap counts if Ryan is unable to return. Ryan formally cleared the NFL's concussion protocol Friday and will play Sunday against the Cardinals, Jason Wolf of The Tennessean reports. Analysis: After Ryan took part in all drills during Thursday's practice, the cornerback was considered close to being lifted from the protocol. He'll now receive the green light to play Week 14 after gaining clearance from an independent neurologist, setting him up for a full slate of snaps against Arizona's Blaine Gabbert-led passing attack. Ryan has yet to record an interception this season, but has 11 pass breakups to go with 52 tackles in 12 games. Ryan (concussion) was a full participant in Thursday's practice, Cameron Wolfe of ESPN.com reports. Analysis: While Ryan has not officially cleared the league's concussion protocol, the fact that he was able to put a full practice together Thursday suggests that he should be more than ready by Sunday. Look for Ryan to be a full go Sunday as one of the Titans' starting corners. Ryan (concussion) did not participate at the Titans' practice Wednesday, Kent Somers of The Arizona Republic reports. Analysis: Ryan exited Sunday's win over the Texans to be evaluated for a concussion and did not return to the game. 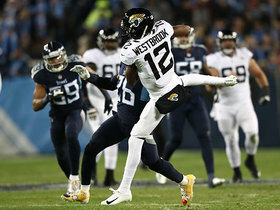 Head coach Mike Mularkey indicated the 26-year-old may be able to practice Thursday, according to Cameron Wolfe of ESPN.com. Ryan was evaluated for a concussion in Week 13's matchup against the Texans, Cameron Wolfe of ESPN reports. Analysis: Ryan took a big hit during Sunday's game that prompted entry into the concussion protocol. As arguably the Titans' best cover corner, Ryan's absence for an extended period of time would hurt a Tennessee pass defense that already ranks in the bottom third in passing touchdowns surrendered this season. Tennessee Titans cornerback Logan Ryan makes a key third-down stop to force a punt. 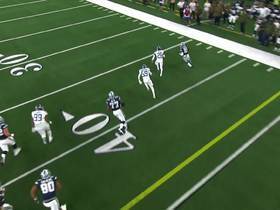 Dallas Cowboys running back Ezekiel Elliott bounces outside and runs for 17-yards. 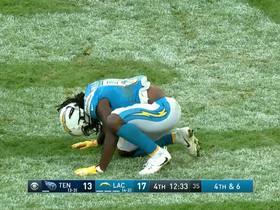 Check out Los Angeles Chargers QB Philip Rivers and Keenan Allen chat on the sideline following a frustrating drive that ended in a field goal. 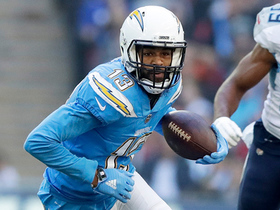 Los Angeles Chargers quarterback Philip Rivers easily finds wide receiver Keenan Allen for 24-yard gain. Baltimore Ravens quarterback Lamar Jackson nearly scores first touchdown on a power run. 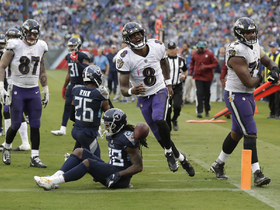 Tennessee Titans free safety Kevin Byard intercepts Baltimore Ravens quarterback Joe Flacco on tipped pass.